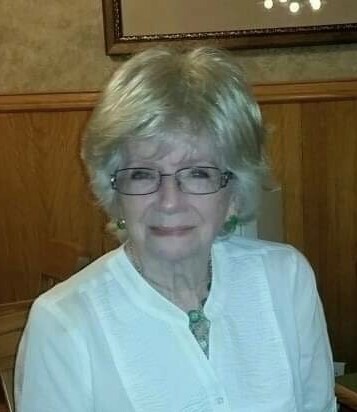 Mary Delle West, 88, of Russellville, died Monday, April 15, 2019 at Her Home. The daughter of Joe and Dora Gertrude Murphy West, she was born February 18, 1931 in Dover. She attended Capital City Business College and throughout her career worked as the secretary for the assistant Vice President of Valmac and later an Admitting Clerk with St. Mary's Regional Medical Center. She attended the Russellville First Assembly of God. She enjoyed Crocheting and reading. She was preceded in death by her parents; two sisters, Josephine West and Peggy Rose. Survivors include a daughter, Sheila Saffell (Richard) of Magnolia, TX; a granddaughter, Stephanie Blackburn George of Russellville, a grandson, Terry Colburn of Atkins, three great granddaughters, Sasha Evans of Gadsden, AL; Skylar Sloas of Huntsville, AL; Brittany Colburn of Dardanelle; a great-great grandson Kayston Evans of Gadsden, AL; three nieces, Shelley Jo Knight of Russellville; Sheryl Rose Dudley of Little Rock, Karen Sorey of Daphne, AL and a nephew Irvin Dale West Jr. of Little Rock. Funeral Service will be held at 2:00PM, Tuesday, April 16, 2019 at Humphrey Chapel. Chaplain Ron Byrd will officiate. Burial will be at Oakland Cemetery in Russellville by Humphrey Funeral Service. Visitation will be from 1:00 pm to 2:00 pm, on Tuesday, at the funeral home. There's still time to send flowers to the Visitation at the Humphrey Funeral Service from 1:00 PM to 2:00 PM on April 23, 2019.